The Grand Palace, which includes the Temple of the Emerald Buddha, is one of the must visits when you are in Bangkok. It was the official residence of Thailand's kings up to the mid-20th century but is still as grand as its name implies. After resting a bit at the hotel, we took a cab to the Grand Palace. 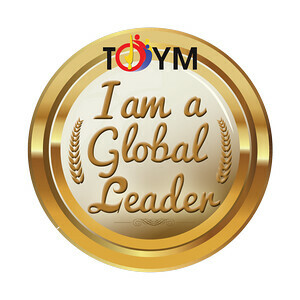 As soon as we got off our taxi, a guy in a khaki uniform wearing a pin which looked like some kind of royal emblem approached us and pointed us toward a gate on the side. I was a bit suspicious since I knew where the main gate was having been there twice before. When we got to the smaller gate, I saw a sign which said "no entry" (obviously, it was not an entrance). Then a guy came out from the gate telling us that the temple was closed early today since it's prayer day for the locals and told us to come back tomorrow. Then he pointed to a tuktuk waiting by the gate and they started selling us a guided tour. Irked, I told shouted "no" to them and brought my family back to where we got down. We almost left but I decided to walk by the entrance I remembered and saw it was open. So I checked inside only to find out the Grand Palace was indeed open! It's sick that such happens right at the gate of the Grand Palace itself. Were the authorities playing blind to such a modus operandi happening right at their doorstep? It was a good thing I had been there before. But I could just imagine other people they had fooled into taking those over-priced tuktuk tours. When we exited the palace, I saw the same guy in the khaki uniform still standing at the gate and I looked him straight in the eye with disdain. 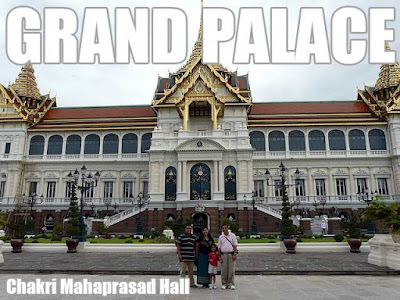 Well, enough of that bad incident since any visit to the Grand Palace is a grand experience! The first thing you'll see when you enter is the Wat Phra Kaew or the Temple of the Emerald Buddha. You'll need to be in proper attire when you enter the compound. No shorts or sleeveless shirts. It was good that they have long trouser and sarong rentals there since my mom was in shorts and had to rent a sarong to enter. 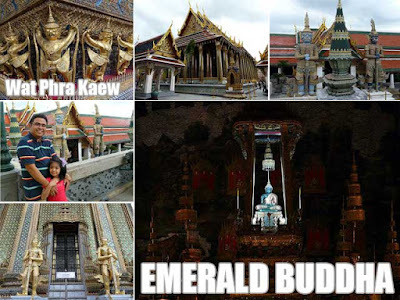 The Emerald Buddha is actually made of green jade and is clothed in gold. There are three sets of gold clothing corresponding to Thailand's three seasons namely hot, rainy and cool. And the king himself changes the clothes in ceremonies marking the change of season. When you enter the main palace area, you won't miss the Chakri Mahaprasad Hall, a building influenced by the Italian Renaissance style but distinctly Thai. By the time we reached this hall, the palace security were herding people out for closing. So we were there just in time to have the area all to ourselves. We proceeded to Siam Paragon right after. But we had to go through Bangkok's snarled weekend traffic to get there. hi there! i was looking for pictures of camiguin then i got here which is more interesting since i'm planning to go to bangkok. i would just like to ask if slippers are allowed inside the temples. thanks! I can't remember if you're allowed to wear slippers in the grounds but you'll have to take off your footwear when you enter the actual temple. ivan, i used to frequent Bangkok and Grand Palace and Temple of the Emerald Buddha are my favorite spots. i just wanted to second your comment that all footwear has to be taken off and women's shoulders must be covered when entering Buddhist temples or holy places.